Sorry to make ya even more jealous but it was DELICIOUS! 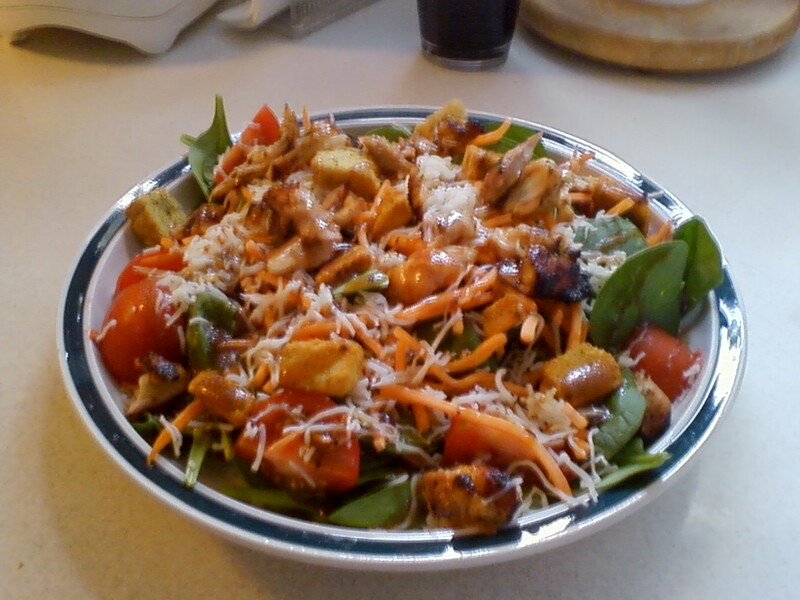 Baby spinach, tomato, shredded low-fat mozzerella, matchstick carrots, croutons, grilled chicken (like really grilled by Lovey moments before), and drizzled with a light balsamic viniagrette. Trying so hard to eat healthy, lol. It was. And it's a good thing because I'll be having it again tonight.